For my Theory and Audience Analysis class I had to give a Pecha Kucha presentation – a format that requires you to focus on timing and the efficiency of presenting information as you only have 6:40 to present with 20 slides that transition every 20 seconds. After reading a recent study by Rice University, I decided to present on the future of online daily deal sites like Groupon and LivingSocial. Online Daily Deal Sites: Will they last? For my research I interviewed a local business owner in Greensboro to see what his experience was like using the deal sites. It turns out that despite the study’s findings that almost 50% of businesses don’t make any profit during the time of Deal, the system is still working for some. Patrick Willard, owner of Heart in Sol a fitness training studio in Greensboro, has successfully used Groupon and LivingSocial to build his business. 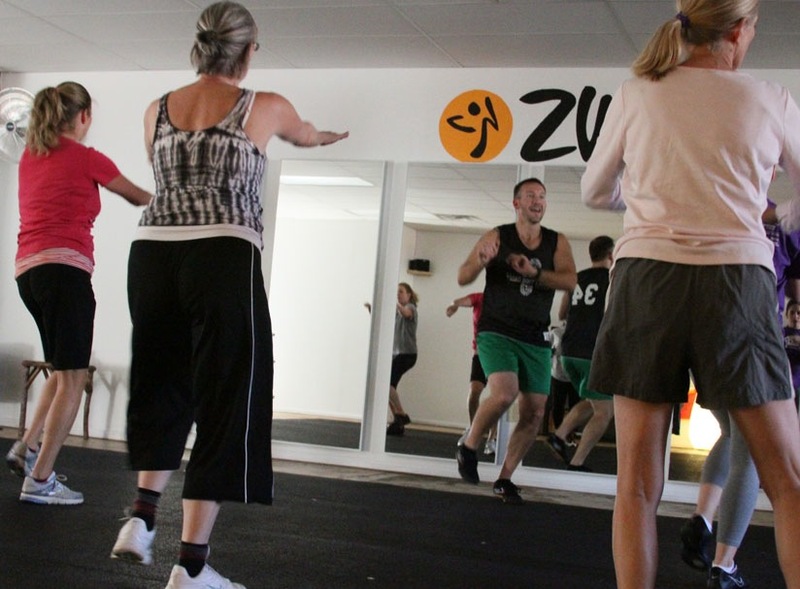 After limited success using a Groupon to sell his Triad Boot Camp classes, Patrick decided he needed something big when he was ready to launch his Zumba offerings and open his first official studio space. With only one other instructor, Heart in Sol planned to have two Zumba classes on the schedule when they launched a LivingSocial deal in January. They were shocked when they sold 300 vouchers. Patrick hadn’t put a limit on the deal. The customers were lining up, but the studio space wasn’t even ready to open yet. “We were going crazy. In the beginning it didn’t feel like we had enough to handle the demand,” Patrick said. The deal customers wanted immediate gratification and some didn’t have patience for the limitations of a small business. “They expect you to operate like McDonald’s,” he said. Lucky for Patrick, he was able to get help and quickly implement an online reservation system that prevented “people from lining up outside with torches.” As a tool to launch his studio, the LivingSocial deal was a great success. They went from offering 2 to 8 classes, hired more Zumba instructors and maxed out the 35 person classes. The success from the first deal, led Patrick to try again over the summer. This time he sold 750 vouchers for 20 class pass for $20 through LivingSocial. Patrick was prepared for the influx of customers and had upgraded the reservation system to allow for the wave. Overall he is thrilled with the success and says the deals have translated into bigger word of mouth. Many of the deal redeemers were one-timers, and a lot of them say they will wait for the next deal before they come back, but Patrick’s primary take away from the LivingSocial deal was the contact list of 750 names. Patrick says he can now send out emails with his own smaller deals to that list and usually gets a response of 30-50 purchasers each time. For a small business that is huge. Without having opportunities like LivingSocial and Groupon, Patrick says he would have need a lot more planning and start-up funds to do more traditional advertising and opening events. As it happened, he never even had a grand opening. The crush of the LivingSocial customers really pushed him to “go at it like gangbusters” and push his limits as a business. He also said that he wouldn’t be able to offer as deep price breaks if he didn’t have the online buying support. As an occasional daily deal purchaser himself, Patrick admits to seeing flaws in the system for more established businesses or more commodity driven formats like Brick’s Pizza. “I only ever go there when I have a deal,” he said. His advice for other small businesses thinking about entering the daily deal game is to 1) be prepared and 2) “make sure to take advantage of who comes through the door” – by using the contacts and keeping in touch through an email newsletter or other consistent correspondence. For his next LivingSocial deal, which is in the planning stages now, Patrick has learned one thing. He’s using a limit this time, with increased popularity in the community he knows that realistically getting another batch of 750 new customers would be more than enough for this small business. Since giving my presentation, I have come across information of a new study that has a very different outlook from the Rice University study. It seems the longevity of these online daily deal sites is up in the air. You have great insights about online business. I will surely come again. Thanks.